Meeting began with remarks by Superintendent Gustavo Balderas, who summarized his background in K-12 administration and direction prior to taking on the 4j leadership position. He has spent the last 3 months meeting with district personnel and parents and conducting district-wide assessments in preparation for initiating the upcoming Community Engagement Plan. This endeavor will kick off in January or February of 2016 and will allow district stakeholders to provide input on the directions that the district will take over the next 3-5 years. Q: Parent asked GB to elaborate on previous comments re: differences between the four district high schools. A: GB spoke to the different programs and demographics of the district high schools, highlighted that North Eugene is the 1st Oregon HS to integrate their Career Technical Education program with the IB program. 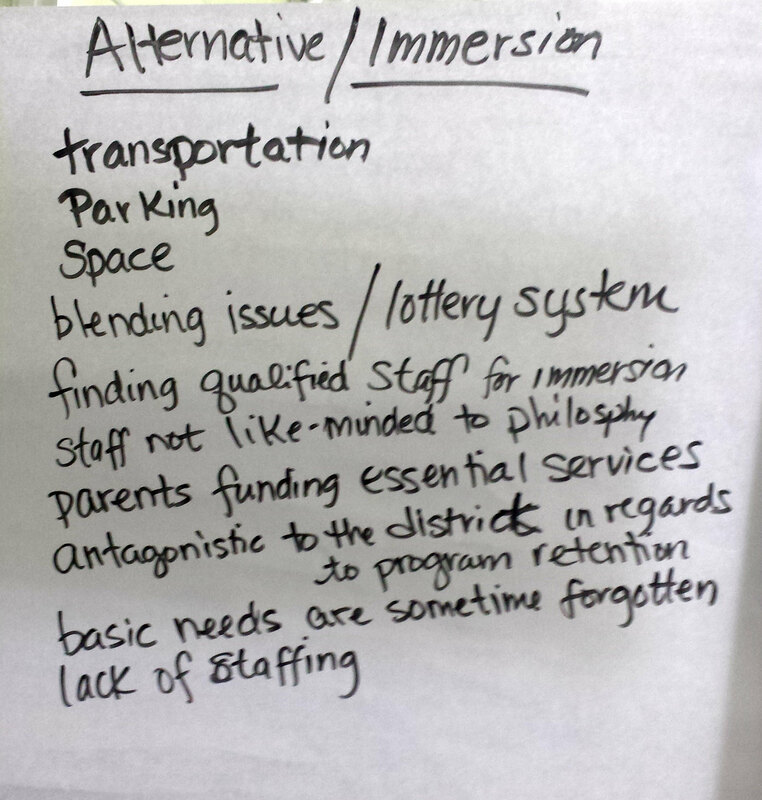 A: goal is core program that meets needs of every student. w/r/t poverty, the onus falls on the community to bridge the gap, as children are in school for only 6 hours a day. More wrap-around care and extension programs may assist with this for younger grade levels. Increased diversity is matched with increased needs, so solutions need to adjust to the population as it changes. 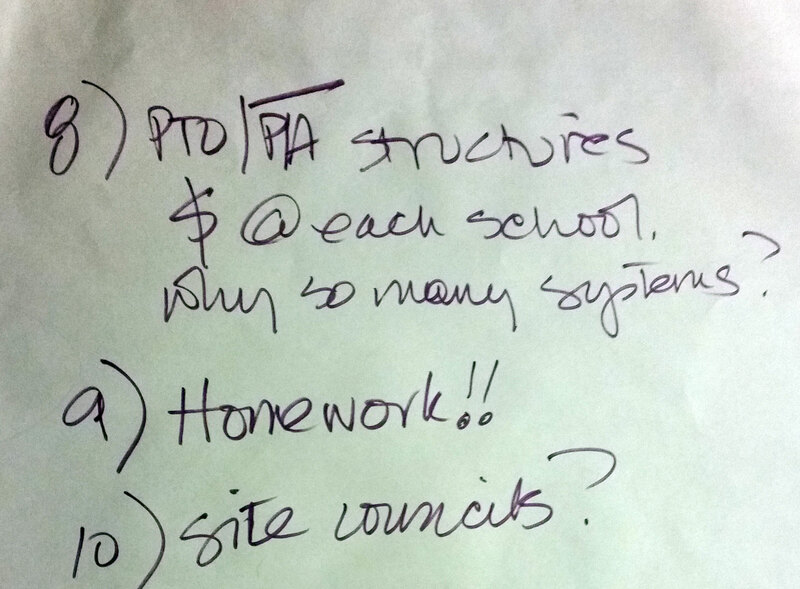 A: Goal is to take community input on 4J facilities, instruction and communications, ask how to improve and set goals over the 3-5 year period. Tentative goals already described: to incorporate internal audits of efficiency & efficacy, discussion of adding a language program to CHS and employ some sort of biliteracy certification. George Russell initiated a previous community engagement plan in 1999, so it has been a while since this sort of organized input was sought. Plan is for the 4J community to engage through surveys, meetings and other outreach efforts. Parent leaders (this group) will also serve a role in this engagement model. 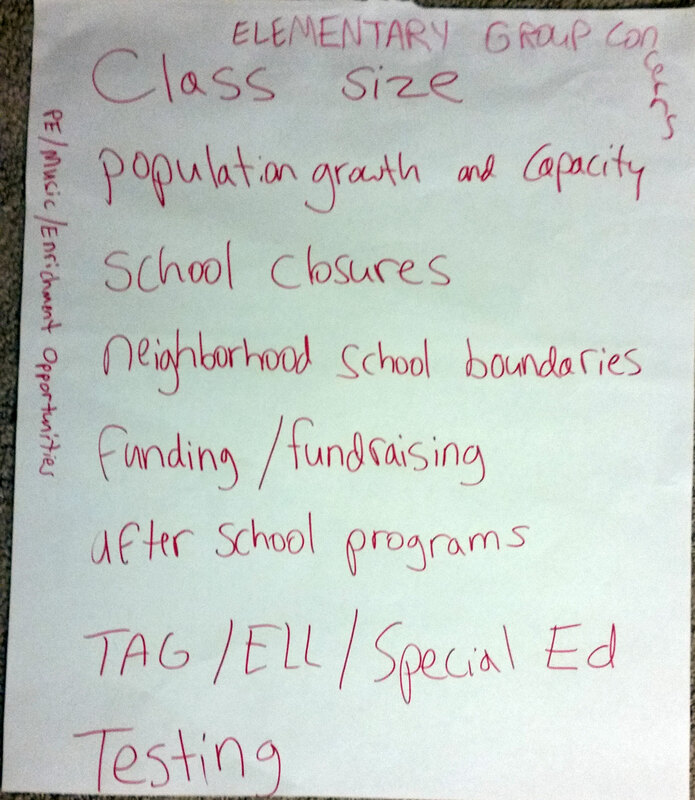 Overarching goal is to make sure that the district’s goals align with those of the community. Note from Kerry Delf (10/7/15) District community-engaged strategic planning processes in somewhat recent memory have indeed included the Schools of the Future community planning process in 1999–2000, but also more recently the large-scale Shaping 4J’s Future strategic planning process in 2006–2008, and topic-focused planning such as the School Closure & Consolidation Plan in 2001, Strategic Facilities Long-Range Plan in 2002, School Choice Access & Options Plan in 2004; Building 4J’s Future Facilities Long-Range Plan in 2012–13, etc. Q: Are there any plans to modify the frequency and nature of standardized testing, considering the high rate of opt-out. 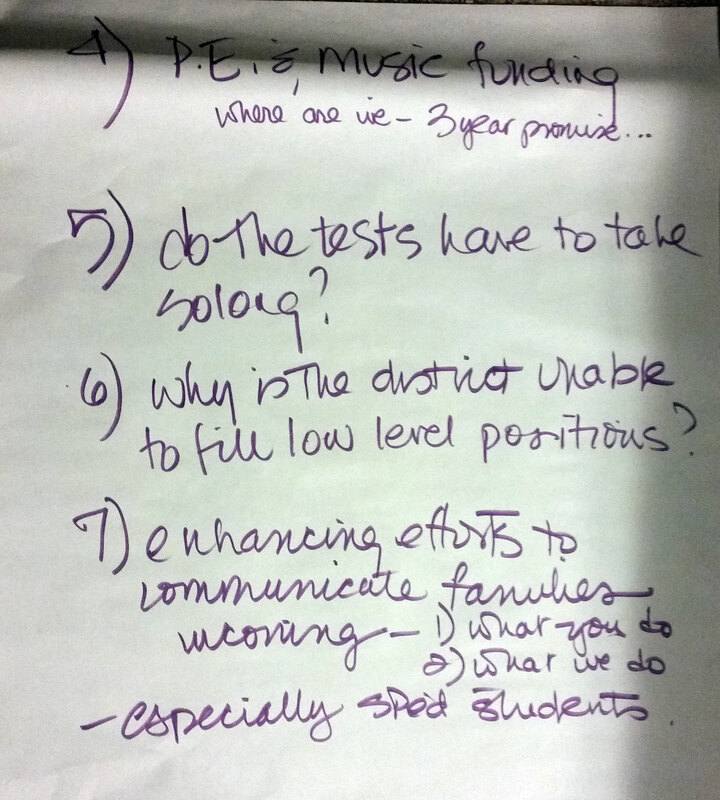 A: Important to assess progress with reliable metrics, so some testing is necessary, but some ideas for change may be explored, including substituting SAT or ACT for other assessments at the HS level, finding ways to limit the amount of time spent testing in grades 3-8 while still collecting the mandated benchmark assessments, and making the testing process more relevant and palatable to the community. 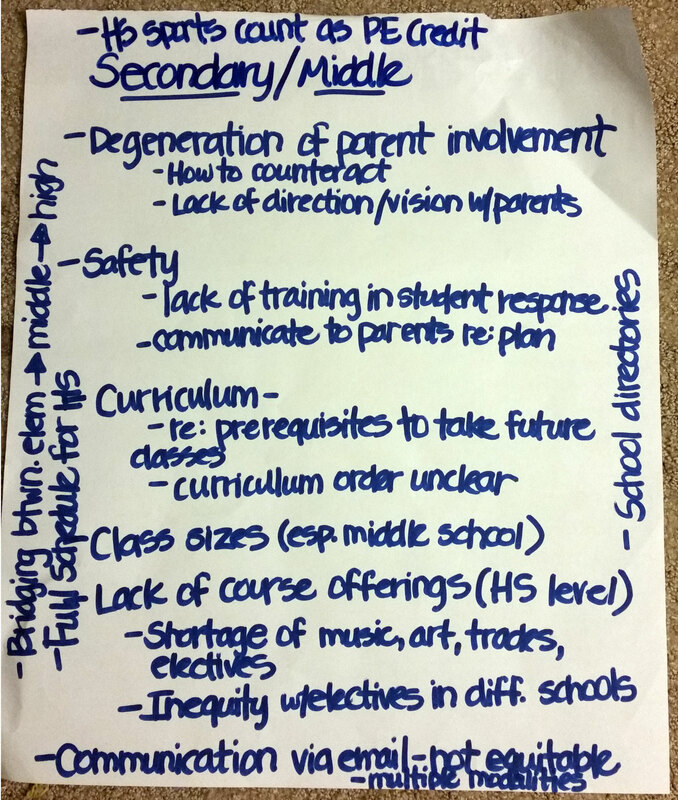 Note from Kerry Delf (10/7/15) These are possible ideas and areas to explore at a state and federal level. Individual school districts such as 4J do not have decision-making authority over what statewide standardized assessments are required. Dr. Balderas plans to attend more parent meetings throughout the year for more Q & A opportunities, and also welcomes email contact at balderas_g@4j.lane.edu. Kevin Boling (the current president of the Eugene Education Foundation Board) spoke about new directions at EEF, introduced new staff members: Rebecca Sprinson is the Executive Director who has expertise in Development and primarily contacts the community at large, seeking donors in the community who are not primary 4J stakeholders. Dana Fleming provides resources for school fundraising, centralizing and customizing fundraising opportunities for various area schools, working with schools to explain fundraising options and opportunities, facilitating money-handling, etc. Dual role of EEF is to help raise resources & support for schools (through soliciting and managing contributions from the larger community and beyond) AND helping schools with their own fundraising efforts. Josh Reckord facilitated two breakout sessions. Four table groups with mixed K-12 parents/staff/guests, tasked with brainstorming about the Parent Leaders group. What does this group do? Four table groups were divided by grade level and school focus. The groups were asked to discuss and record the current state of mind and concerns at their school level. These group responses were posted but not discussed due to time constraints. 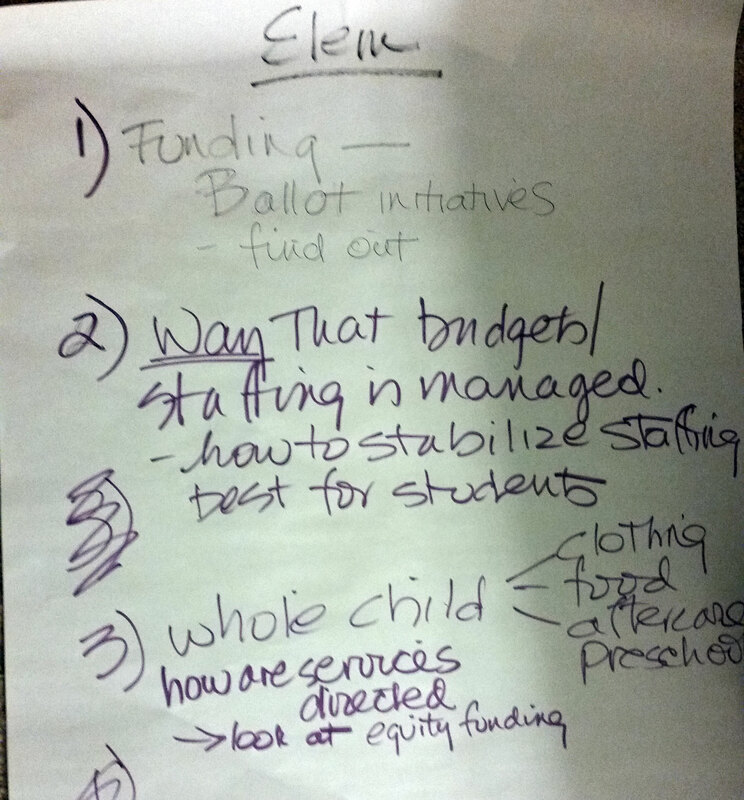 A significant discussion at one of the elementary school tables, which had reps from Camas, Gilham, Charlemagne, Edison, Buena Vista, and I think a few others, was the perception that parent funds are being relied on by the district for funding essential staffing. Group members are asked to communicate on next steps, next meeting topics via the Facebook pages, Twitter, or email. The next three meetings are Dec 1st, Feb 9th, and April 12th. All will take place from 6:30-8. The Dec 1 meeting will take place at North Eugene HS, pending approval by the facility. Please RSVP at http://www.signupgenius.com/go/409084fa5ab2ba13-district2. February and April locations to be announced. Contact parentleadersnetwork@gmail.com with any questions or to volunteer your time to help with the next meeting. The year of the strategic planning process initiated by George was 1999, the first year that I was on the school board. I was sorry to have missed what sounds like a great meeting!